There is usually something going on most months in Liverpool, with annual festivals, football matches and other sporting events regularly taking place in the city. Particularly popular is the famous Grand National in April, which takes place at the extremely historic Aintree Racecourse and is believed to have been first held here in 1838. 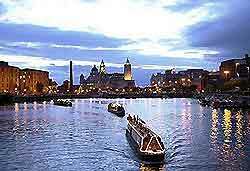 Other major events in the city of Liverpool include the Mersey River Festival each June at the Albert Dock, while July sees the arrival of both the Merseyside International Street Festival and the Philharmonic Summer Pops, the latter of which is staged at the Kings Dock Arena. Held towards the end of August is International Beatle Week, where all kinds of live music and Beatles tribute acts perform in venues such as the Cavern Club, the Adelphi Hotel, the Philharmonic Hall and even the city's cathedral. The Liverpool International Tennis Tournament takes place during mid-June and is becoming a major UK tennis competition, attracting many famous tennis players from all over the world. Held in Calderstones Park, the International Tennis Tournament is always a popular event with spectators and lasts around a week. Held in early July, taking place at various venues throughout Liverpool city. Featuring more than 200 performers over two weeks, the Comedy Festival has recently won the Mersey Tourism Award for 'Best Small Event'. The Grand National famous horse steeplechase is one of the premier sporting events in the city and is more than 160 years old. Drawing enormous crowds, the Grand National takes places in the Aintree area on the first Saturday in April. The Merseyside International Street Festival is held throughout the city centre during late July. Highlights include street entertainers, comedy events, theatrical performances and much more besides. The Liverpool Philharmonic Summer Pops takes place during the month of July over three weeks. 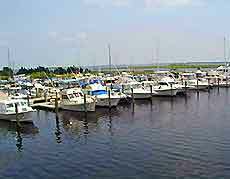 With numerous performances, including many world-famous artists, the Summer Pops is held in the waterfront area and is one of the most popular musical events in the city. 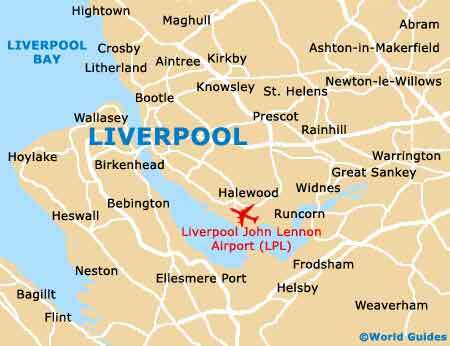 International Beatle Week takes place at various venues throughout central Liverpool during late-August, attracting large numbers of loyal Beatles fans. Beatle Week includes a number of popular tribute bands, exhibitions and general Beatles-related festivities. The vast Liverpool Show takes place over three days at includes horses, dogs, falconry displays, show jumping, farm animals, children's activities, musical events and a large number of trade stands. Held during the summer at Watertree Park, the show is free and is always a popular event in the Merseyside area. Held during mid-June at the trendy Albert Dock, the Mersey River Festival includes many nautical events, impressive ships, races, hot-air balloons and numerous activities. The Wirral Show Weekend is one of the most popular events in the city's calendar and takes place during mid-July. Featuring a large arena with many exciting displays, concerts, entertainment, market stalls and food stands, the Wirral Show Weekend is an event not to be missed. The Southport Flower Show takes place in mid-August and is held in the town of Southport, on the outskirts of Liverpool. This popular horticultural event includes large marquees with exhibits of flowers and plants, trade stands and gardening experts on hand to answer your questions. The Mathew Street Music Festival is held in early-August at a number of venues in the city centre. With many exciting musical events, concerts, live bands and outdoor stages, this is an exciting event with a noticeably friendly atmosphere. (If Christmas Day, Boxing Day or New Year's Day falls on a Saturday or Sunday, the next weekday becomes a public holiday).